That’s a 5.1 percent increase over last year, the AAA said in a statement. The vast majority of Southern California travelers — 3.6 million or 86 percent of all travelers — will drive to their destinations, a 5.1 percent increase over last year. Another 476,000 Southern Californians are expected to fly, which is an increase of 5.9 percent from the 2017 holiday, while 123,000 will go by other means, such as train, bus or cruise, which will represent a 1.2 percent increase over last year. San Diego is expected to be the second most popular destination for Thanksgiving travelers nationwide, according to AAA’s online and travel agency bookings. A survey of the Auto Club’s travel agents reveals the top five destinations for Southern Californians this holiday are: Las Vegas, San Diego, San Francisco, the Grand Canyon and Anaheim. 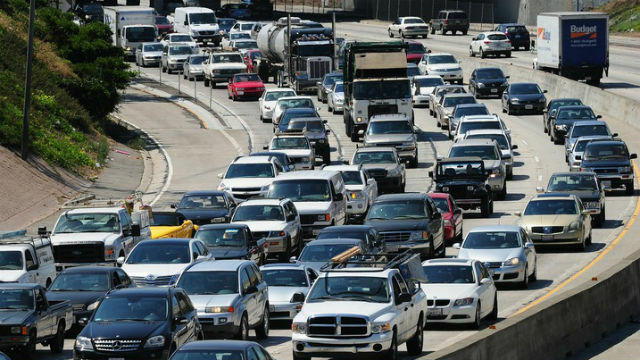 According to INRIX, the heaviest congestion period in Southern California will be between 2:30 and 4:30 p.m. Wednesday, Nov. 21, on southbound Interstate 5 between Pacific Coast Highway in south Orange County (Exit 79) and Coast Highway in Oceanside (Exit 54B).